Walter Henry Huntzinger was born in Pottsville, Pennsylvania, on February 6, 1899. He attended high school in Scranton and then the Bellefonte Academy, in central Pennsylvania, for two years. After service in World War I, he enrolled in the University of Pennsylvania in the fall of 1918. 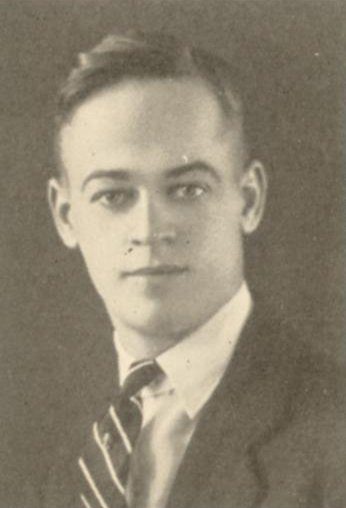 At Penn, Huntzinger played baseball on his class’s freshman team in 1919 and then on the varsity teams for both baseball and basketball during the next three seasons, earning All-American honors in both sports in 1923. He was a member of the Varsity Club as well as of the Sphinx Senior Society, the Junior Prom Committee, and the Alpha Tau Omega and Phi Kappa Beta fraternities. Although he did not graduate, Huntzinger attended Penn for four years and was honored in his senior year as Cane Man. Huntzinger made his major league baseball debut as a relief pitcher for the New York Giants on September 19, 1923. During two of the three seasons he played with the Giants, the team won the National League pennant. In 1926, his last season in the majors, he played for both the St. Louis Cardinals and Chicago Cubs. He then played two more seasons in the American Association with the Toledo Mud Hens; during his last season Huntzinger posted a 13-5 record and the Mud Hens won the pennant. Huntzinger’s animated windup was legendary.